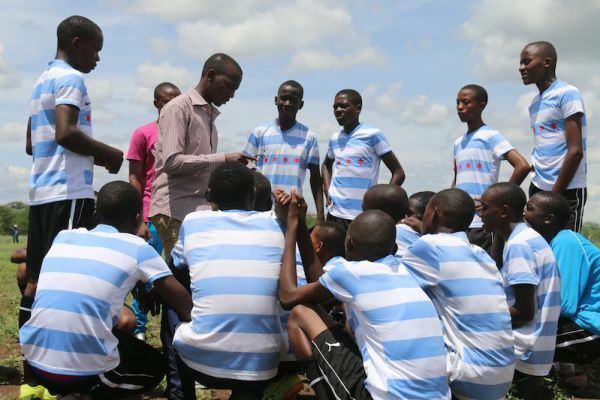 After weeks of practice and the addition of a new assistant coach, the Mungere boys football team visited Tumaini Senior Secondary School, in neighboring Makuyuni, for their first friendly match of the season. In Tanzania, visiting another school for a sporting event such as this is a very formal affair. A school must be officially invited by the heads of school and, once they’ve accepted, a day of elaborate ceremony is planned. Early Saturday morning, the team loaded into a bus in Mto wa Mbu, leaving plenty of time for pre-game activities. When they arrived, the Tumaini coach welcomed the Red Rhinos, graciously encouraging them to make themselves at home. After a campus tour, the boys and the team’s lone female stand-out, Tasiana Kabuka,headed to the locker rooms to suit up while Mungere staff took tea and got to know the Tumaini teachers. Nearly two hours after arrival, the game began! Both sides played their hardest, but the Red Rhinos came out on top, clinching the match win 3-1, with an excellent showing by Form IV all-stars! Emma Hendry scored two goals and Marco Genard scored the third. Following the match, Tumaini’s coach said, “This is good for us. We haven’t lost yet this year. They need to see that they still have work to do.” Both sides are excited to meet again—hopefully on the Mungere campus for a second match leg. "We practiced a lot and the whole team played very well. I can't wait for our next match!" said Form III's Juma Sefu, the Red Rhinos team captain. 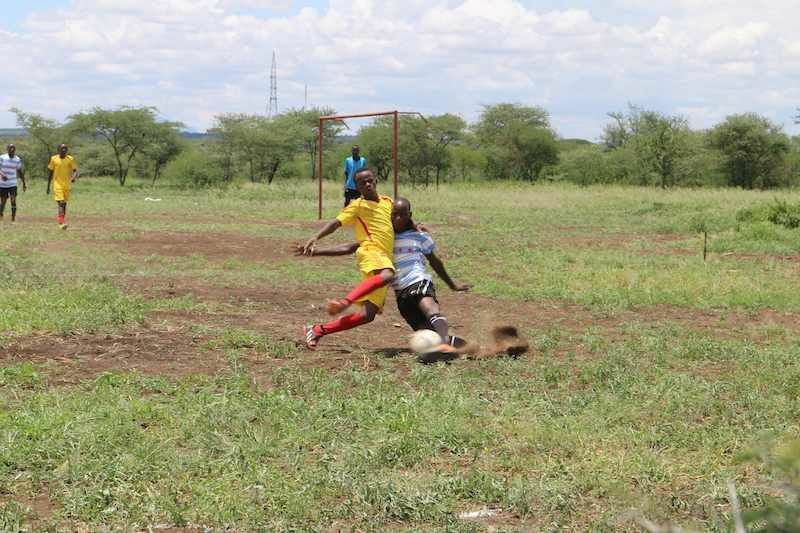 When the game was finished, students and staff from both schools ate lunch together, generously provided by Tumaini. Before departing, the headmaster called the whole school together for an assembly to offer formal introductions and acknowledge the new relationship the schools were building together. Everyone was buzzing with excitement for the next time they would meet on the field—and in the classroom! After saying their goodbyes, the Red Rhinos headed back to Mto wa Mbu, celebrating long and loudly the whole bus ride home. 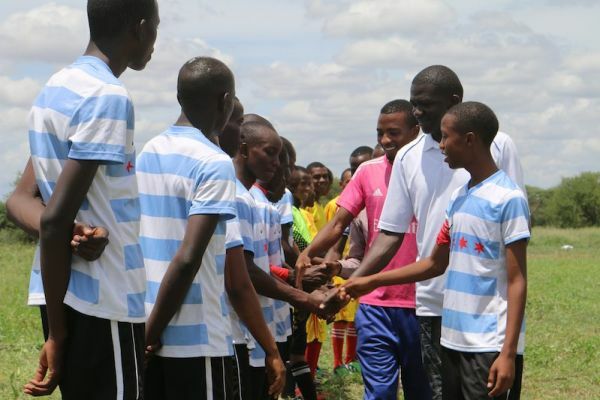 Practice will continue as Mungere sports teams prepare for their next friendly matches. 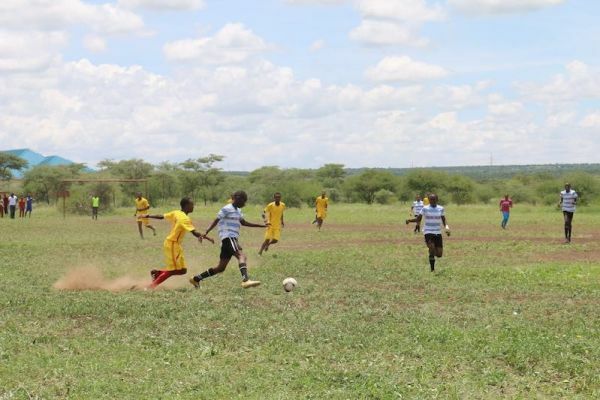 Over the next month, Mungere will play against neighboring schools in preparation for UMISETTA, Tanzania’s inter-secondary school games. In the first round, the Red Rhinos will compete against other local schools in volleyball, basketball, football, netball, and track & field. Competition officials will select the top performers from each school to create teams that will go on to compete at the district, regional, and national levels. Last year, 17 Mungere students performed well enough to move on to the second round at the games. With more practice and the famous Red Rhino spirit, Red Sweater Project is looking forward to sending even more student athletes this year!